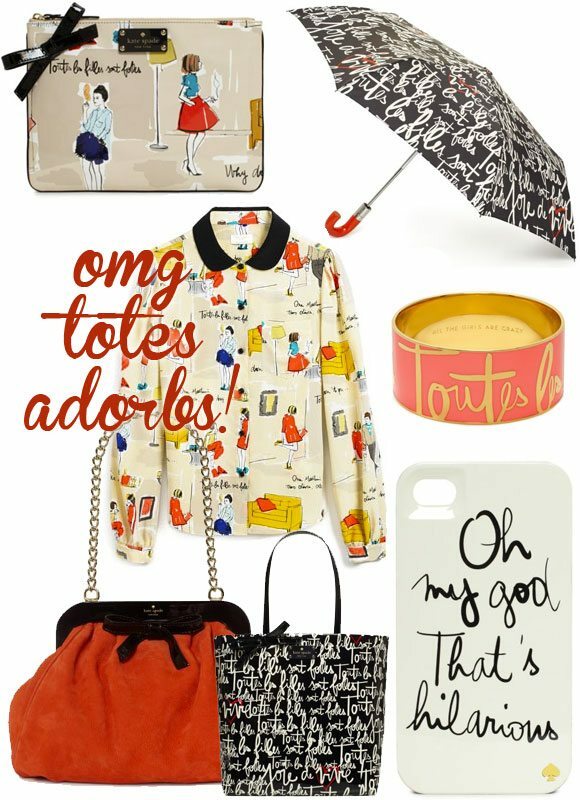 French graphic artist and blogger Garance Dore collaborated with Kate Spade New York and created this beautiful collection mixing her Parisian print with Kate Spade’s signature looks. The prints are fabulous, and make me feel like Woody Allen’s Midnight in Paris movie, which I had to watch again this weekend (click the link above for music from the soundtrack and you know what I mean..). I love the prints, but I love-love the quirky sayings and especially the handbags in this collection. You just have to see it all. I think Kate Spade New York embodies a certain femininity and quirkiness that lends itself so well to the Parisian girl. It’s that effortlessness that I’ve always tried to show with my illustrations, so this collaboration was natural for me! It’s so exciting to see my work not only on the walls of this space, but on the clothes. 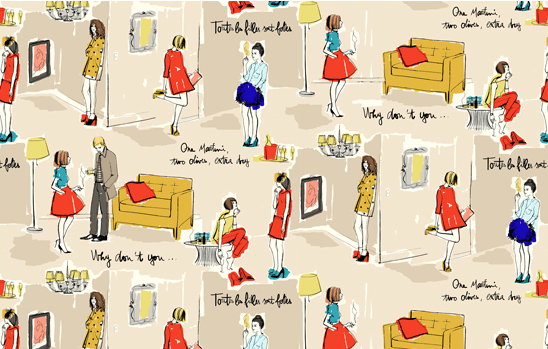 Get to the Parisian spirit right now with Garance Dore and Kate Spade, and download Garance Doré for Kate Spade wallpaper for your phone, computer or as a Facebook timeline. And if you want travel tips to Paris, read our top 10 things to do in Paris. I’m linking up for Fashion Friday on Blonde Episodes and All Things Chic. I was wondering about this collection – I’m a HUGE Kate Spade fan – wish I could fit in her tiny clothes – LOL . . .but I love the “feel” this collection gives off – so fun. Love this!! So awesome. Happy Friday Katja!! Stopping by from Blonde Episodes linkup!